The Conference will took place on 8 + 9 Dec 2005 in Glasgow and Edinburgh and was organised by Children in Scotland and the Scotttish Executive. It was chaired by Kirsty Wark and other speakers included Mark Dudek and Benedetta Tagliabue. 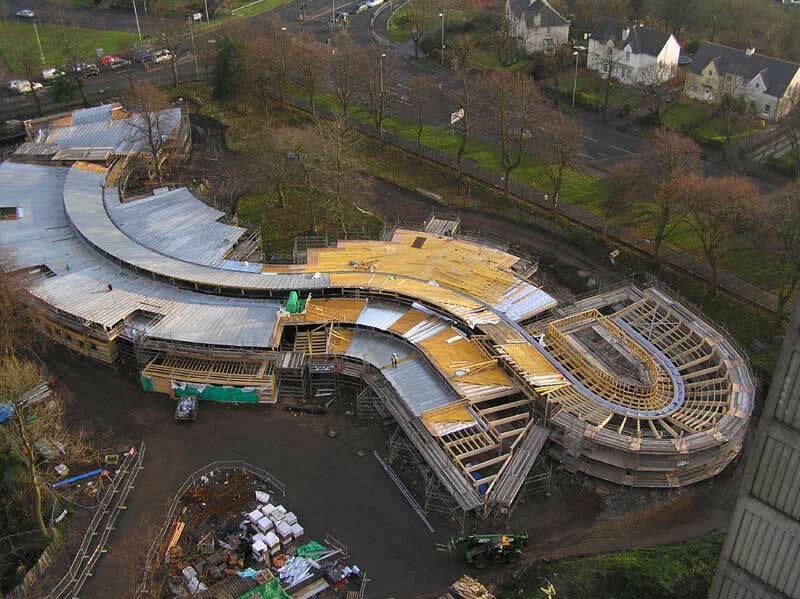 The school in Dumbreck is to be situated within a superb parkland setting on the south side of the city and will be to teach children from the age of 4 to 18 life learning skills. The children are blind or have acute visual problems and may also have cognitive and mobility impairment and hearing difficulty. 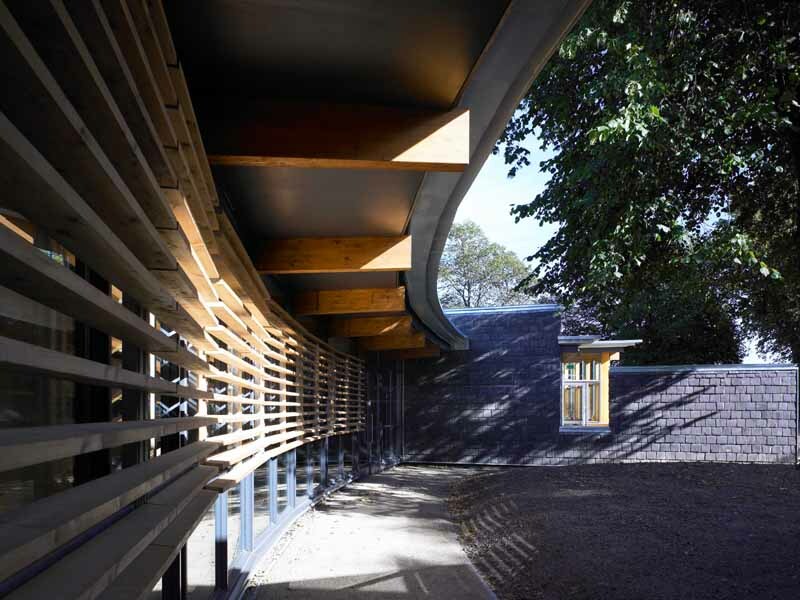 The building works with the existing site features, so that for instance all trees are kept and accommodation is arranged around a beautiful sensory garden. 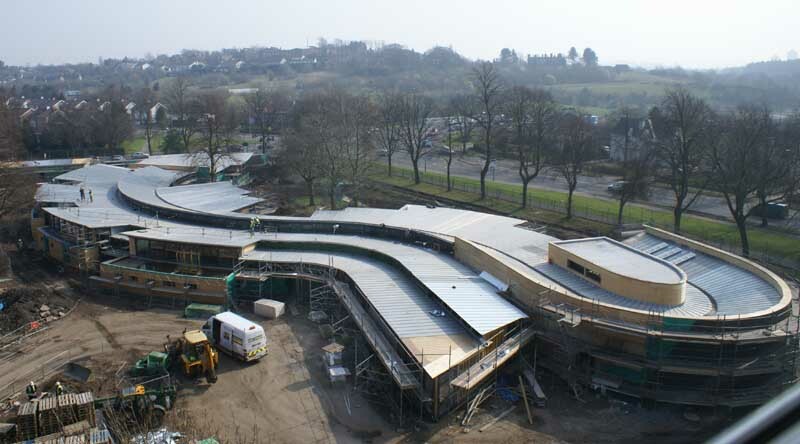 The project was won by the architects in competition and will be the first school that gm+ad have completed. Their clients, Glasgow City Council have decided to procure the building using a traditional building contract…not by ppp and the contract value is 6 million The school is to be complete by August 2006. 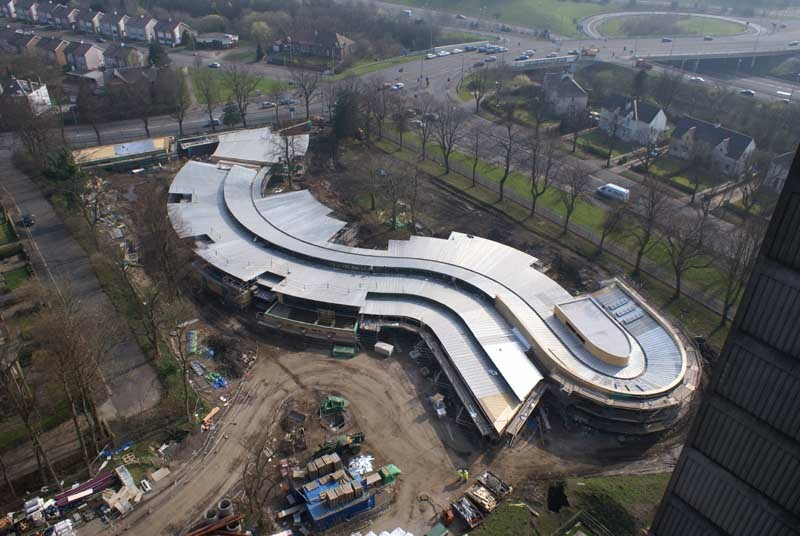 It will be the first school building of it’s type in Europe and follows an intense briefing period, involving all the design team and visits to schools in the UK. 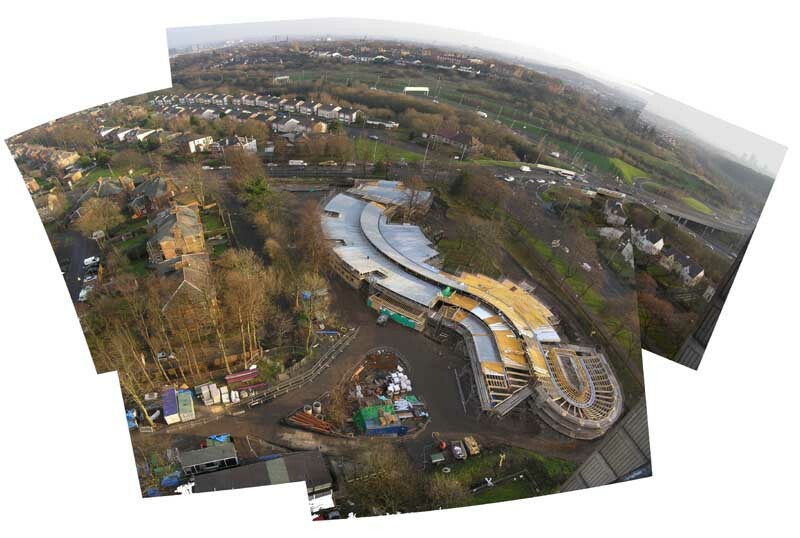 The new school will bring together the existing schools of Kelvin and Carnbooth and will include residential accomodation and teaching space for life learning. “It will be an empathetic environment which will support the children and help the teachers but also a place where the kids can have fun” says Alan Dunlop “a place which offers security but also independence, and we are very much looking forward to taking the project forward ‘Our design team includes Margaret Hickish, an access specialist from Buro Happold and City Design Cooperative, designers of the Hidden Garden Glasgow‘. 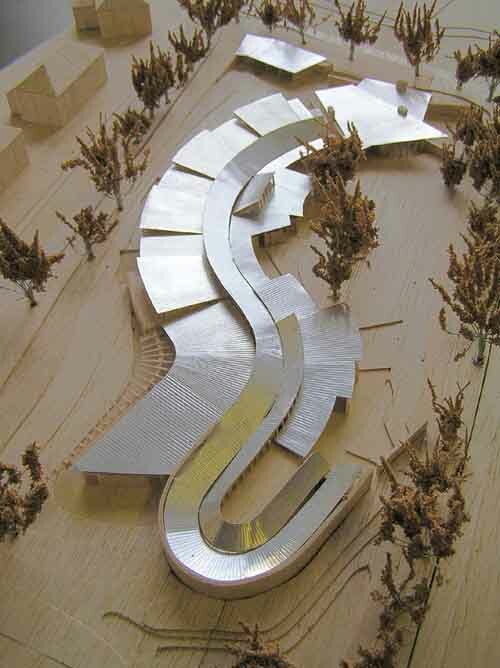 Gordon Murray and Alan Dunlop, working in conjunction with City Design Cooperative and Buro Happold, have released their concept proposals for Dumbreck, a new school for children aged from 4 to 18, with severe visual, mobility and sensory impairment. 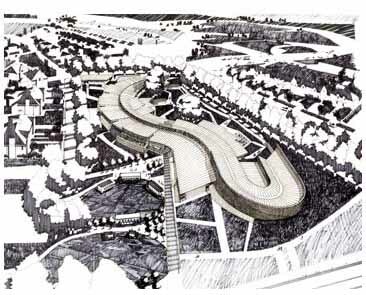 The school commission was won in competition and is for Glasgow City Council. 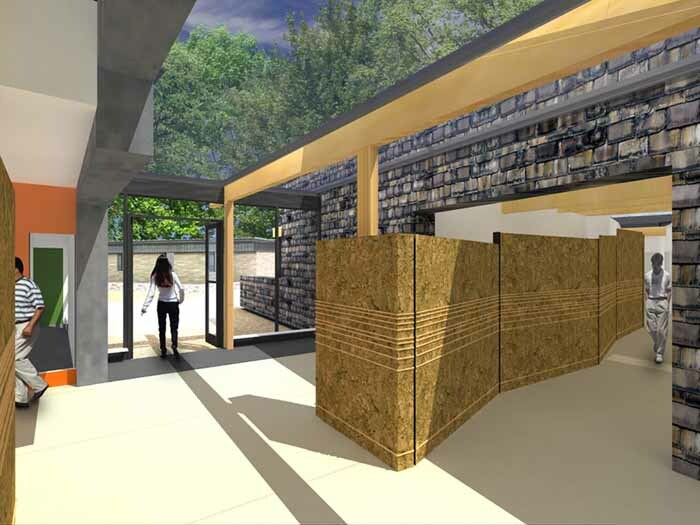 It will be the first school building of it’s type in Europe and follows an intense briefing period, involving all the design team and visits to schools in the UK. 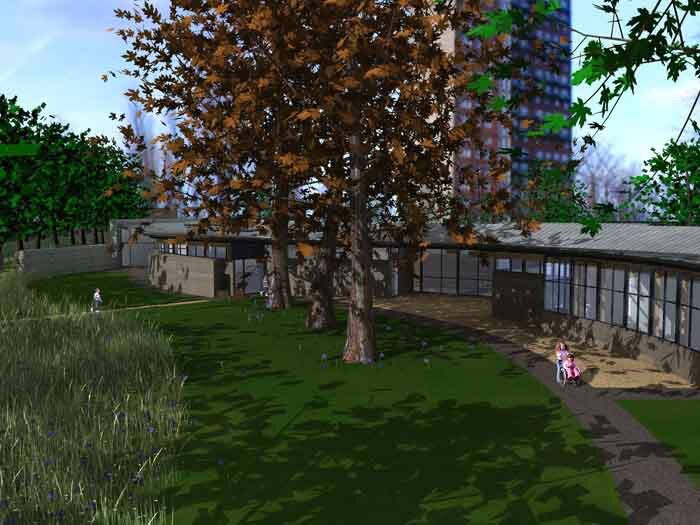 The proposals include new streets and squares, visual and auditory cues, naturally lit galleries arranged around existing trees, north facing class rooms, teaching and learning spaces and gardens for recreation, fun and relaxation. 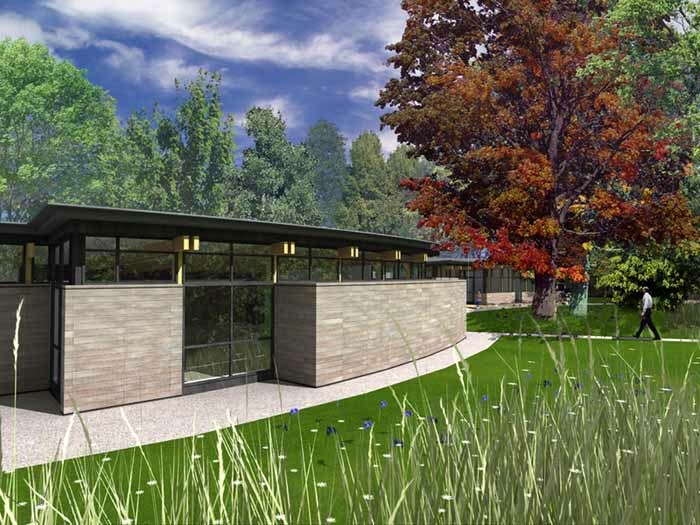 The building has been specifically designed so that the kids can wander in safety, increasing their sense of independence without putting them at risk. 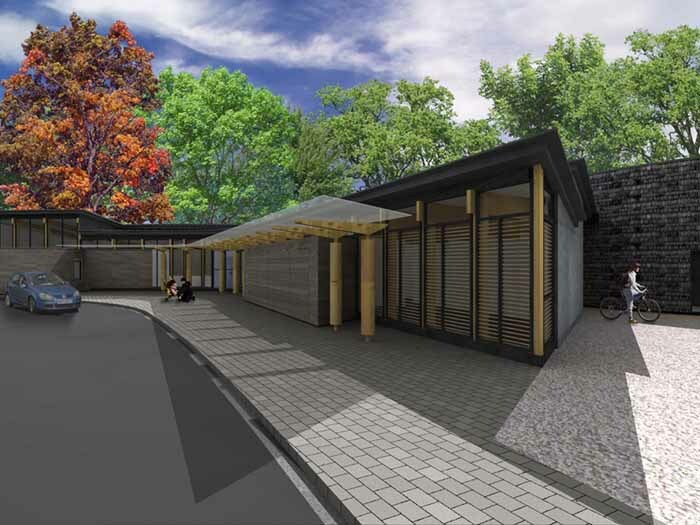 Gordon Murray and Alan Dunlop have been awarded the commission to design a school for children with sensory impairment in Dumbreck, Glasgow. The children who will use the school all have severe visual impairment and often hearing, cognitive and mobility problems. The new school will bring together the existing schools of Kelvin and Carnbooth on a spectacular site in the city’s south side. The commission is for Glasgow City Council and will include residential accomodation and teaching space for children from age 4 to 18. ‘We have proposed three different concepts which can be developed’ says gm+ad Project Director Maggie Barlow. 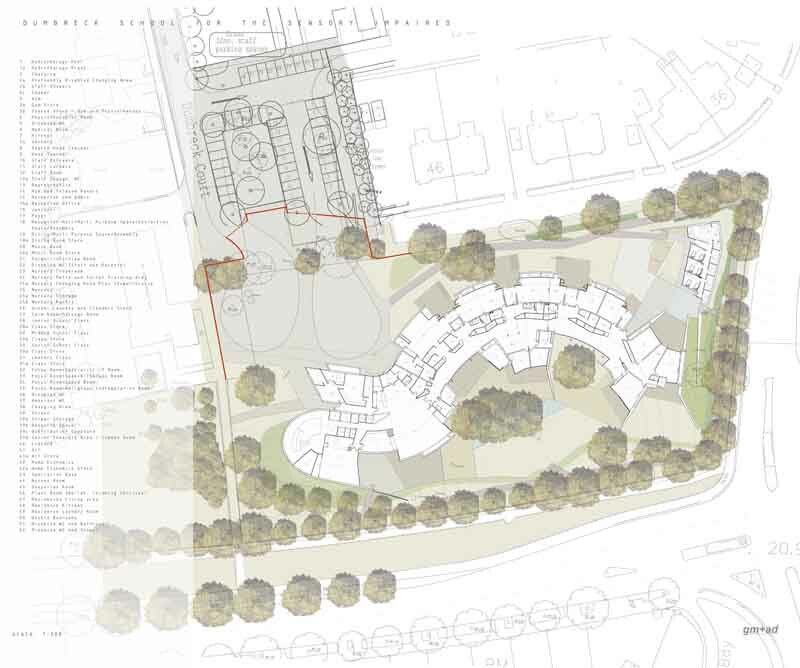 ‘Each works with the existing site features, so that for instance all trees are kept and accomodation is arranged around a beautiful sensory garden’. ‘It will be an empathetic environment which will support the children and help the teachers but also a place where the kids can have fun’ adds Alan Dunlop “a place which offers security but also independence, and we are very much looking forward to getting started. 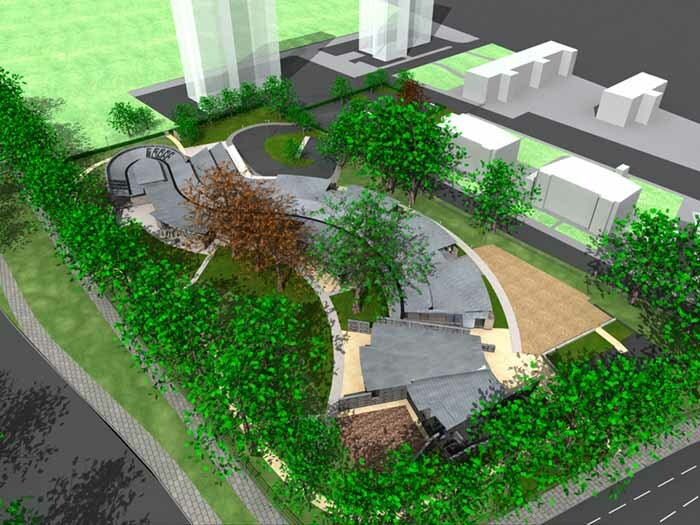 ‘Our design team includes Margaret Hickish, an access specialist from Buro Happold and City Design Cooperative, designers of the Hidden Garden in Glasgow’.